Swedish Translation Software and Swedish Language Study Aids. 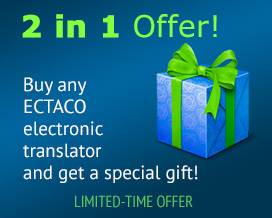 Welcome to the ECTACO English - Swedish Online Dictionary! 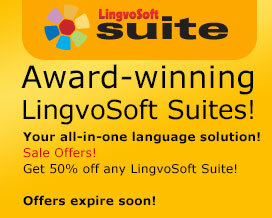 Please be our guest here as we invite you to experience what our comprehensive language databases can do for you. Designed so that you can receive immediate back-translations with ease, we will help you increase your understanding at the same time as providing the answer to your question. Simply give us a word, and we'll do the rest! Once you experience the ease and power of using online dictionaries, you'll like it so much that we think you'll become a regular visitor. Enjoy! Buy the English <-> Swedish talking translator ESw900 PRO and get the Accessory Pack ($100 value) as a gift!